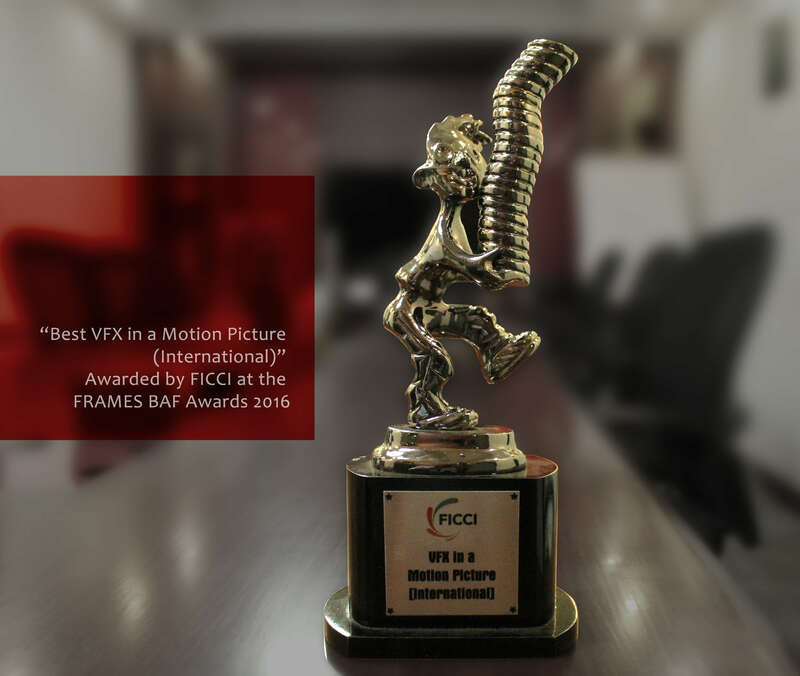 Image Engine along with BOT VFX win this years Best VFX in a Motion Picture Award in the International Category for their work on CHAPPiE (2015) at the FICCI FRAMES BAF Awards 2016. Its a moment to rejoice for BOTs as this recognition is yet another testament to the numerous hearts we have won over the years, doing what we love the most – delivering great quality of work! As if to extend the plot line of the film into the real world, BOT (a.k.a. BOT VFX) provided supporting work that enabled the digital existence of Chappie the robot in Neill Blomkamp’s fascinating Sci-Fi flik. In the film, Chappie, a robot equipped with newly developed AI programming, discovers his self-identity inspired by human traits. So the irony was never lost on the BOT team that a creative crew of humans drew their inspiration (and their name) from the precision and efficiency of robots. BOT provided supporting visual effects services for Image Engine, the venerable visual effects house in Vancouver that has become Neill’s go-to place for VFX for nearly all of his films. BOT also provided supporting work for Neill’s other film, Elysium, released last year. “We’ve had a long standing relationship with Image Engine so when Shawn Walsh, their EP, asked us if we can provide care and love on some particularly tough paint work in an aggressive timeline, we told him there was no way we could say no to such a worthy robotic cause” says Hitesh Shah, BOT’s humanoid leader. Neill wanted to avoid using motion capture techniques to ensure authenticity to the acting and interaction with real characters, so all of the shots with Chappie were acted out by an actor in grey marker-suit, and then the actor’s motions were hand animated onto a digital Chappie. Of course this meant that for nearly 70 minutes of the film in which Chappie is in frame, the human stand-in actor had to be clean-plated out so that the digital version could cleanly take his place. This is where BOT’s stellar paint team rose to the varied challenges of removing the actor completely from these shots. To make the stand-in human Chappie completely disappear in these plates so that Image Engine’s team can cleanly place the CG Chappie was a monumental feat. The more agonizing shots to get to look just right were the ones with close interactions between the human actors that were to stay on the plate and Chappie’s human stand-in. The delicate art of generating a believable background in areas with large dynamic motion and lighting changes was akin to creating a small constellation of animated matte-paintings for the shot in just such a way that no one even questioned that something else existed there before. Artists who slaved over these cleanplate shots have a bitter-sweet feeling watching it in the movie. They were ecstatic to finally see it on the big screen, but sad that no one except the craftsmen would even know that something else was originally there in the plate shot on camera. But as any good VFX artist knows, the ultimate complement that an audience can pay to a digital paint artist’s work is to say they didn’t see anything. Looking at BOT’s role in supporting the digital existence of robots in Chappie, perhaps the old adage that “truth is stranger than fiction” should be updated to “truth in support of fiction is stranger than fiction”. The Best Animated Frames [BAF] Awards was started in 2004 by the Federation of Indian Chambers of Commerce and Industry [FICCI] to recognize and honour students and professionals in the field of Animation. 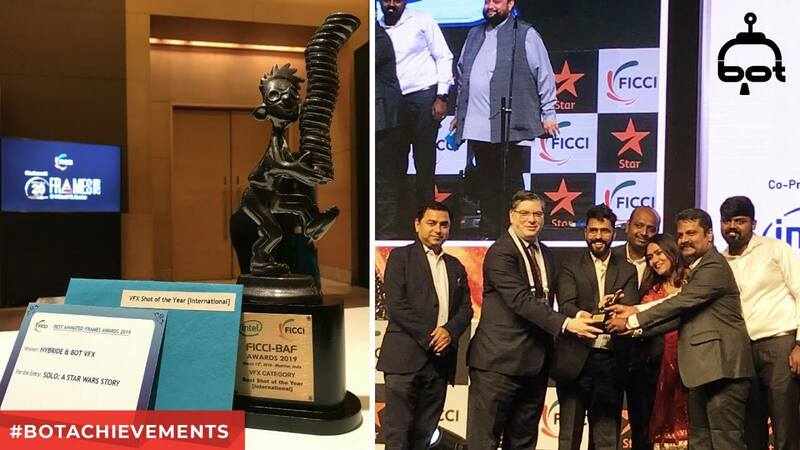 This first ever Animation Awards in India grew over the years to encompass awards not only in Animation, but also in the VFX and Gaming fields. The contest now receives top-notch entries from across the globe. In fact, the last BAF Awards held in March 2015 received 400 entries from across 12 countries. 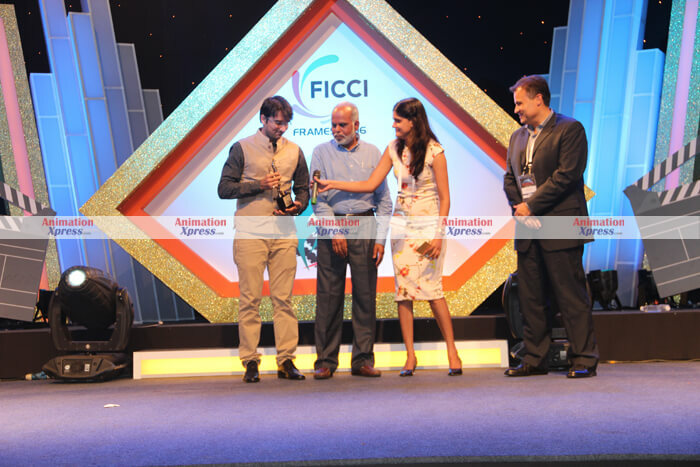 This was the 12th edition of BAF Awards which took place on March 30th, 2016 at Hotel Renaissance, Powai, Mumbai as a part of FICCI FRAMES 2016, a three day global convention covering the entire gamut of Media & Entertainment like Films, Broadcast (TV & Radio), Digital Entertainment, Animation, Gaming, Visual Effects, etc. with nearly 2000 Indian and 800 foreign delegates encompassing the entire universe of media and entertainment who attended the event.